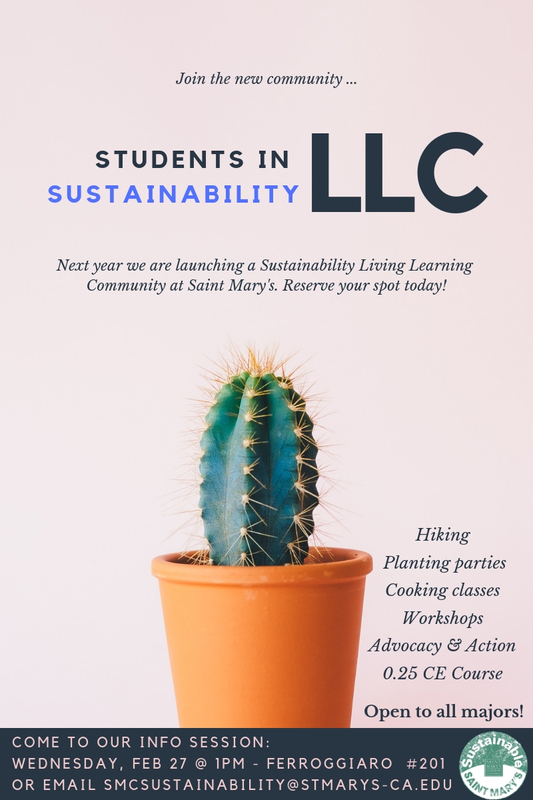 The Sustainability LLC provides a living and learning environment that empowers students to creatively and consciously build a more just and sustainable campus and world. Successful living communities are built around a sense of shared purpose that is grounded in residential, academic and co-curricular experience. Want to live in a community with like-minded individuals? Want to get off campus to hike and adventure? Want to make real change on the Saint Mary's campus? If so, please complete this questionnaire by Friday, March 8th to be considered for the 2019-2020 Sustainable LLC. Each member of the community will enroll in a 0.25 CE course.